The Indiana State Police is now accepting applications for the 79th Recruit Academy. Individuals who are interested in beginning a career as an Indiana State Trooper must apply online at http://www.in.gov/isp/2368.htm. This website will provide a detailed synopsis of the application process as well as information on additional career opportunities with the Indiana State Police. Applications must be submitted electronically by 11:59 pm (EST) on Sunday, February 10, 2019. Applications submitted after the deadline will not be accepted for the 79th Recruit Academy. Basic Eligibility Requirements and consideration factors for an Indiana State Trooper are U.S. citizenship, age 21 by appointment date, accurate vision, valid driver’s license, and high school diploma or GED. 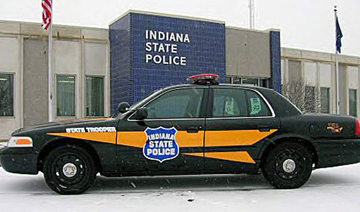 The starting salary for an Indiana State Police Department Recruit is $1,615.39 bi-weekly during the academy training. At the completion of academy training, the starting salary is $48,000.00 a year. Graduates of the 79th Recruit Academy are offered a health care plan, which includes medical, dental, vision and pharmacy coverage for both current and retired employees, along with their families, until reaching age 65. The Indiana State Police pension program provides a lifetime pension after 25 years of service. Interested applicants can obtain additional information about a career as an Indiana State Trooper by visiting https://www.in.gov/isp/3041.htm to find the recruiter assigned to your area.